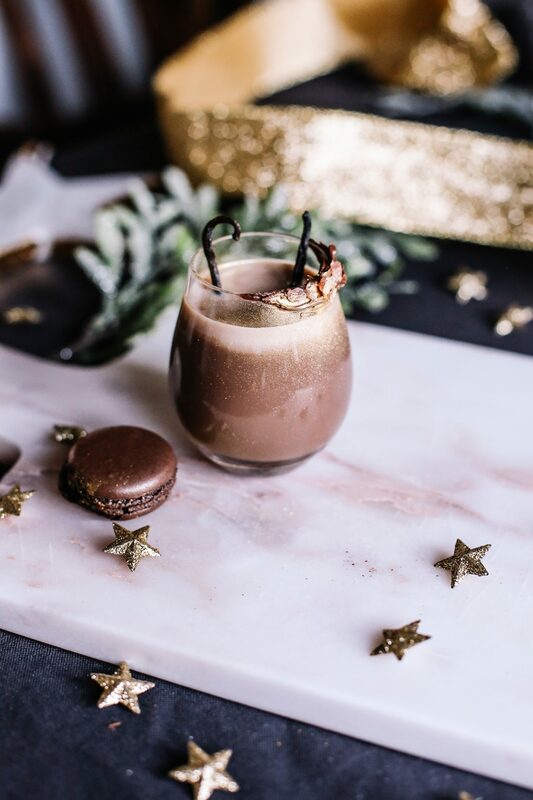 Indulgent, decadent and totally irresistible, this velvety, chocolate shooter is the perfectly sinful finale to the festivities! 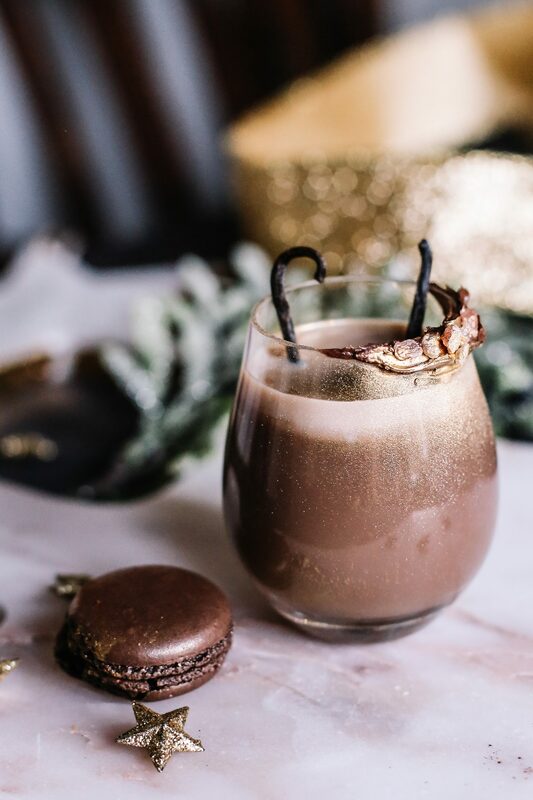 It’s short, sweet and rather strong so it makes a merry equivalent for dessert or to hand out as a treat at your New Years Eve Party. The ingredients could be doubled if you want to make this into a seriously naughty cocktail, but I think it works as a double shot, especially when adorned with Nutella and sea salt. 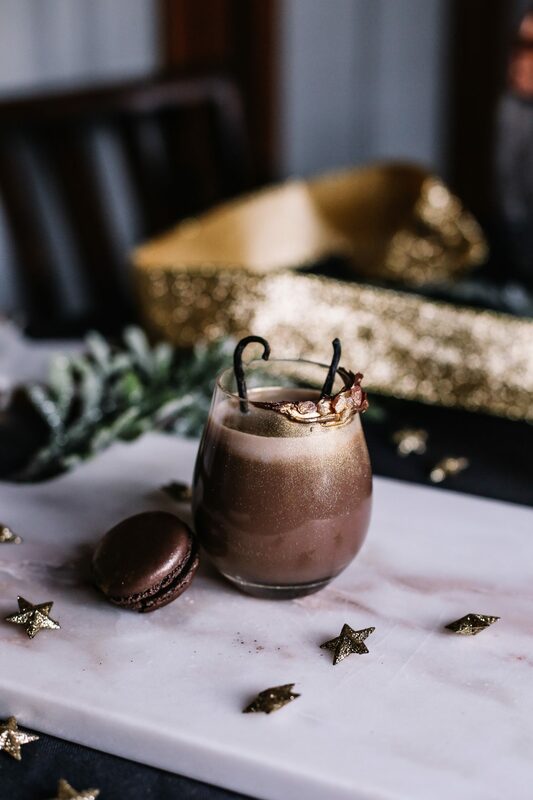 The chocolate and salted caramel blends together like a dream, and the vanilla adds as gentle but distinct depth of warm and aromatic notes which I find mellows the sweetness of the chocolate. 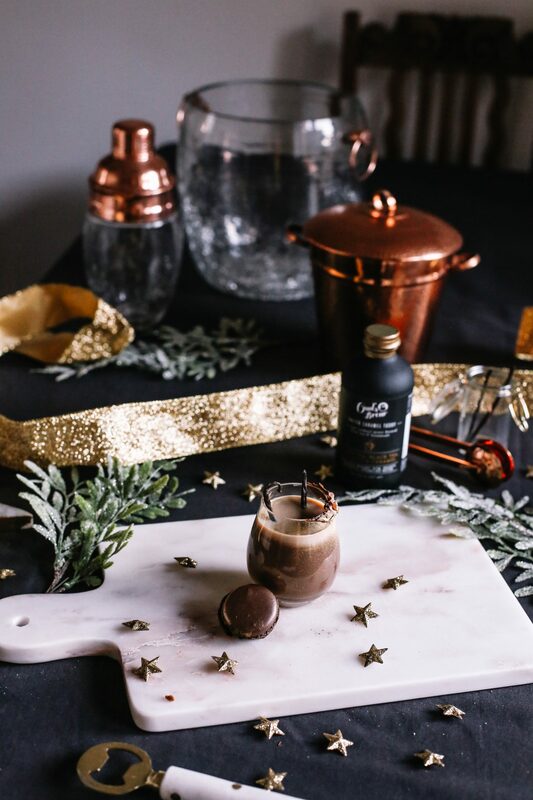 In a cocktail shaker, mix together the vanilla vodka, salted caramel Baileys and chocolate liqueur and sieve through a strainer into the shot glasses. 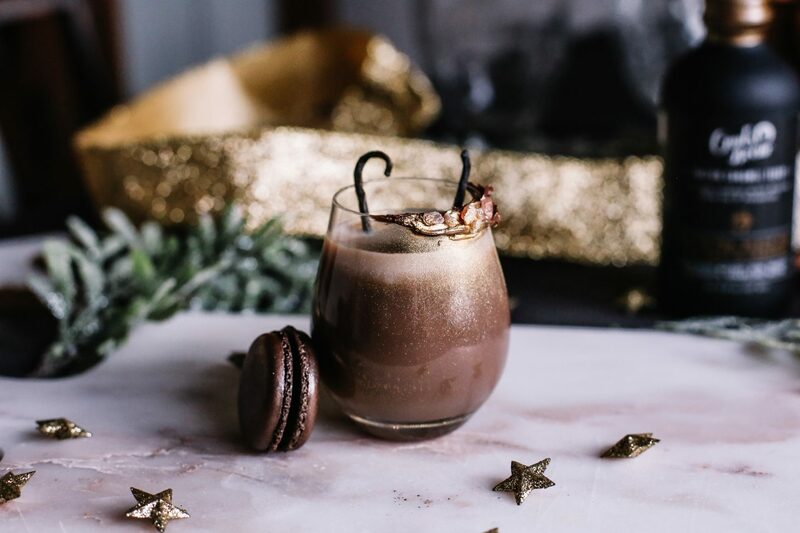 Garnish with a vanilla pod and a chocolate treat for maximum indulgence! Wishing you all a wonderful (and merry) New Years Eve!